Erin Whitehead (Wild Horses) and Kate Hagen (The Black List) joins Paul and Jason to discuss the 2013 romantic gothic fantasy film Beautiful Creatures. Join them in the studio as they talk about all the southern fried accents, casters, the Beetlejuice house, and much more. 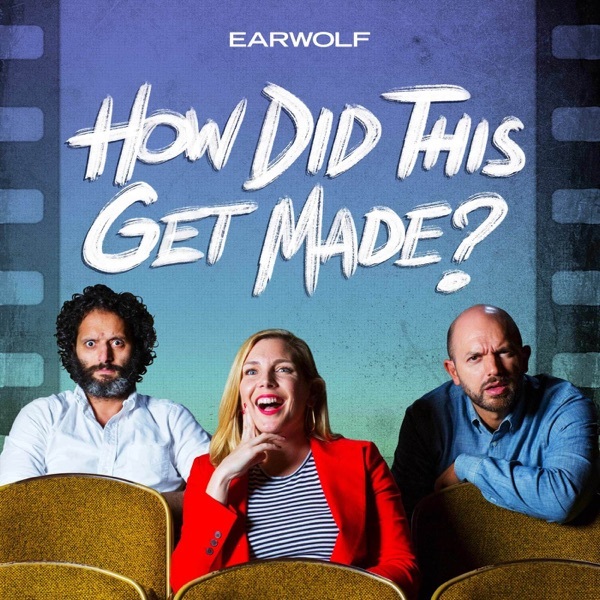 Plus, everyone shares their love of Harry Potter!This episode is brought to you by Squarespace, The Wine Down Podcast and Wyatt Cenac’s Problem Areas on HBO.Check out new HDTGM merch over at https://www.teepublic.com/user/howdidthisgetmadeWhere to Find Jason, June & Paul:You can see Jason, June, and Paul in The Disaster Artist.Paul’s new comedy Drive Share is available on Go90. Paul can be seen on A Futile and Stupid Gesture, Wet Hot American Summer: Ten Years Later, Opening Night, and Veep. You can see June and Paul on NTSF:SD:SUV:: on HULU. June stars in Blockers, Grace and Frankie on Netflix, as well as Lady Dynamite alongside with Jason.Jason can be seen in The Good Place, The House, The Lego Batman Movie, How to Be Single, Sleeping with Other People, and is still indeed in The Dictator.